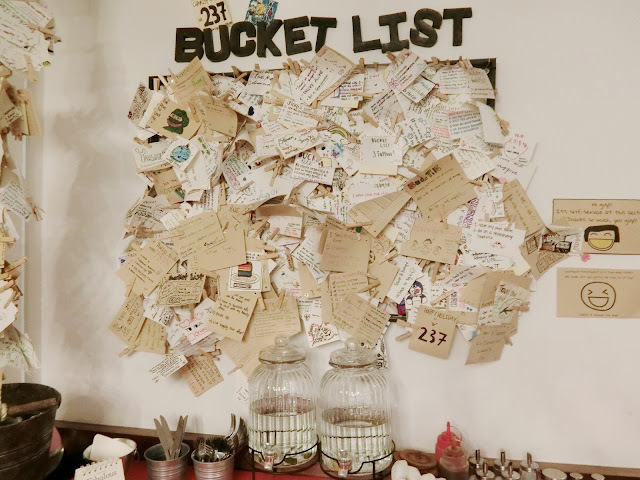 A little vintage corner of the cafe filled with people's bucket list. 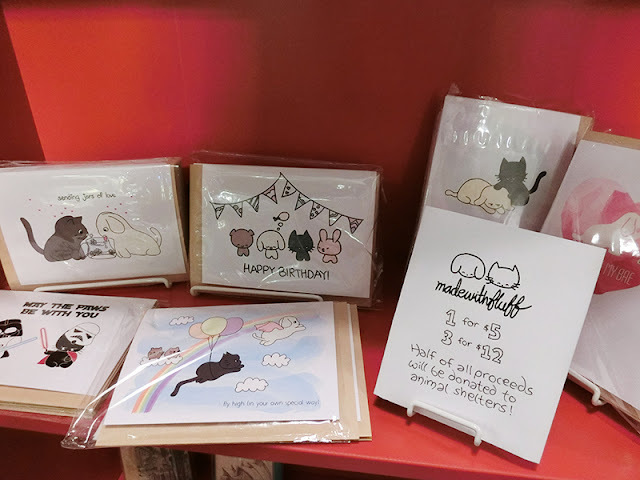 They also have a shelf that sells some really unique stuff like these cards! Aren't they adorable? 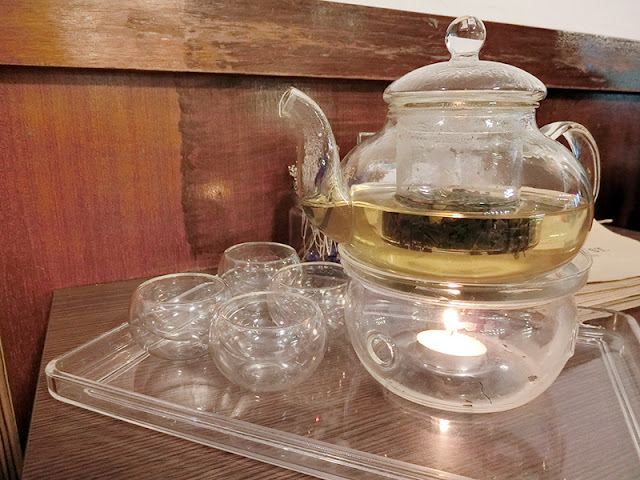 What I love is the tea presentation - makes me feel like a taitai lol. The tea smells really good too! Truffle fries ($7.90) tasted soso for me only. 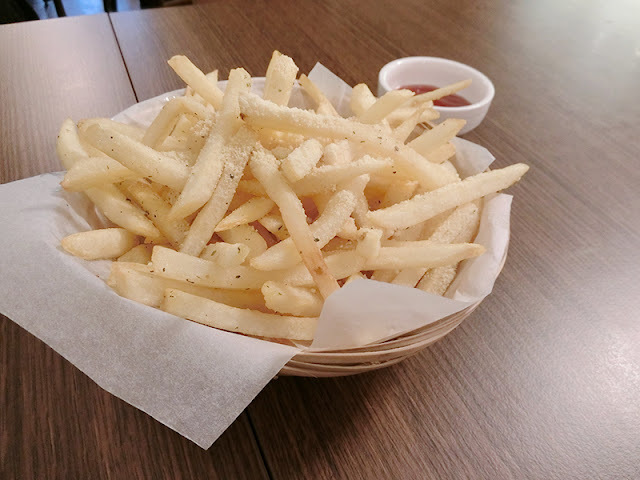 I'm a huge fan of truffle fries and if I go to a place that serve truffle fries, I will definitely order it. 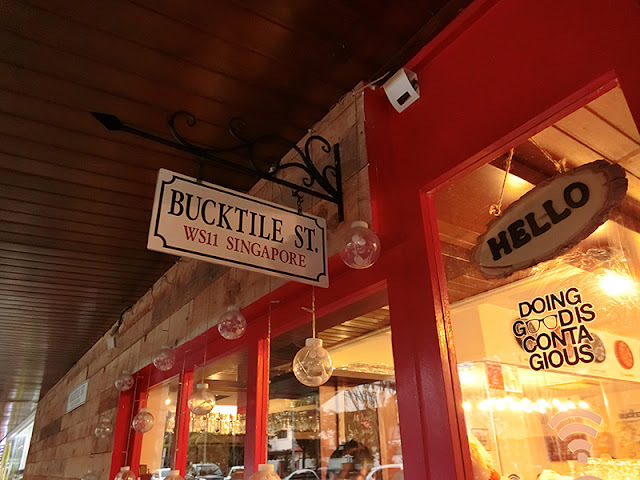 But sadly, it's really hard to find a place with yummy truffle fries. Most of them are like your normal fries soaked in truffle oil and with a little cheese sprinkles mehhhhz. The best truffle fries I had was at Stranger's Reunion. IT WAS SUPER DUPER NICE I CANNOT FORGET THE TASTE. You have to try it yourself! But of course the price is slightly higher than your normal truffle fries. Ordered their signature Blue Velvet waffles ($11.90 *the price for 1 scoop of ice cream) with two scoop of ice cream - salted caramel and vanilla. THIS IS LIKE THE BEST THING ON EARTH DAMNNNNN. 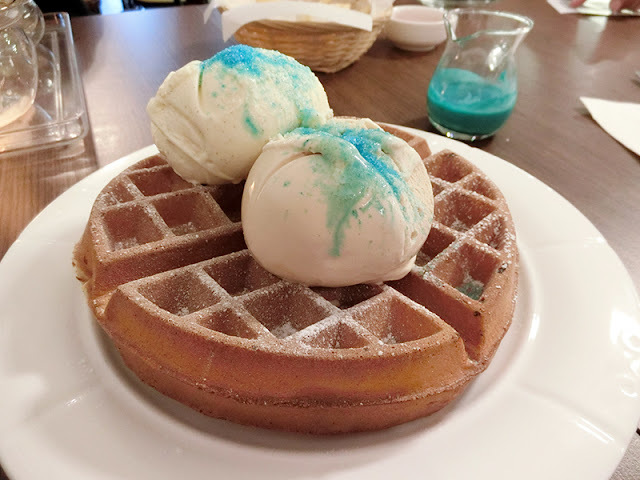 Waffle was crispy on the outside and fluffy on the inside; the blue velvet syrup tasted like heaven omg I've no idea what isit but it tasted like bubblegum/cotton candy?! And the color is so chio somemore!!!! How can anyone not like it?! The only down side of the cafe is the location. It's located in the middle of no where literally LOL. 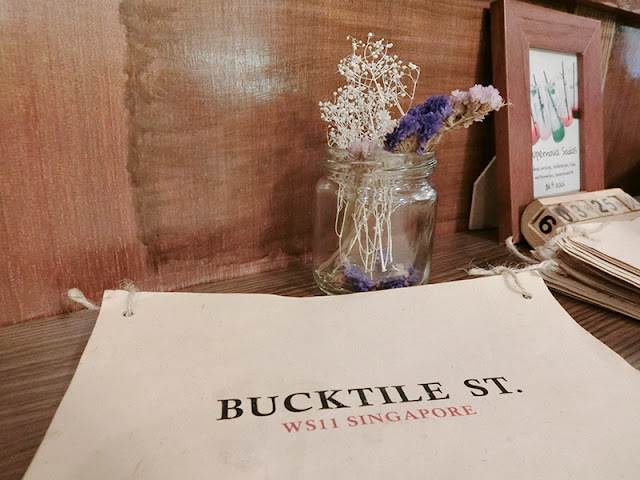 When I alighted at the bus stop, the first thing that I thought to myself is "Did I alight at the wrong stop? Who the heck open a cafe here?!" So unless you drive, it's a little troublesome to locate this cafe. 1) Alight at Clementi MRT Station and take bus 154 at the bus stop in front of Clementi Mall. 2) Alight at The Infiniti(a condo) which is the fourth stop. The cafe looks so cute and vintage. And gosh the waffle look sooooo good!